I prefer a green curry with seafood, but this is what I had on hand the other night when I came home with my impulse purchase of fresh, amazing, local spot prawns. Stop me before I go on and on about spot prawns. The local season is so short that I go a little off my head: I frequently spend the month’s food budget on a week’s worth of meals. Nevermind – the sweet, tender, fantastically delicious spot prawns are worth it. After I have glutted myself on spot prawns with butter, spot prawns with garlic and lemon, spot prawn juice soaked up with crusty bread, I then move on to the amazing Asian way with seafood. It’s killer. 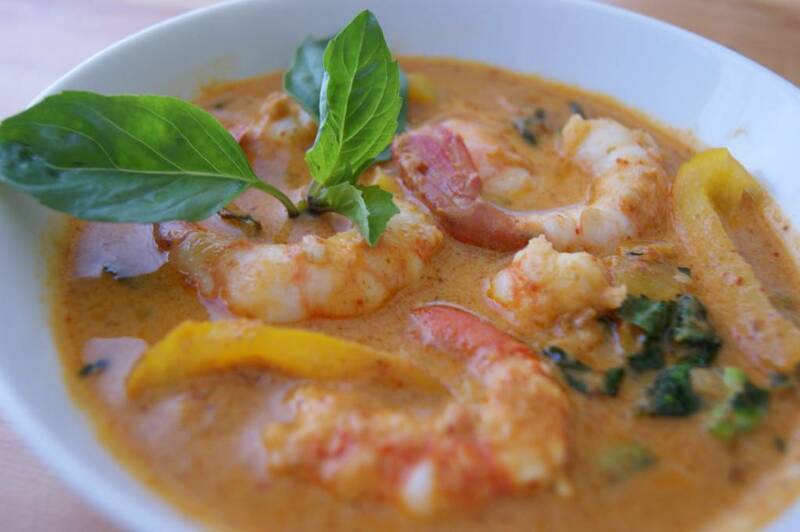 You can whip a yummy prawn curry out of your hat as well, with the purchase of some spot prawns and a few easily-found Thai ingredients. What follows if my recipe for quick red curry, one of the star recipes in my Thai Basic cooking class. It uses store-bought Thai curry paste plus some special tips and techniques for absolutely delicious results. Feel free to subsitute green curry paste for the red, if you like. Green curry is a better match for seafood anyway. To turn this into a red chicken curry, subsititute 1-1/2 lbs of boneless, skinless chicken thigh or breast, cut bite-sized, for the seafood. Chicken breast can be cooked exactly like the fish/prawns (only maybe a tiny bit longer), but thighs need to be put in about 10 minutes before the vegetables. In all cases, add the protein raw! 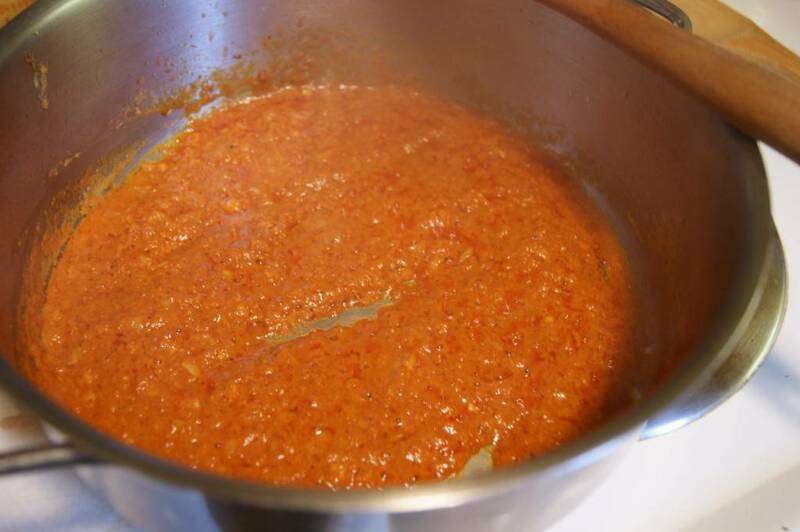 Do not cook it or brown it first – this will prevent the protein from absorbing flavours from the curry sauce. *Lemongrass – available fresh at any supermarket. **Galangal – this is a delicious rhizome, similar in appearance to ginger, but with much paler skin, and pinkish knobs. Not to be confused with young ginger, galangal has a wonderful, aromatic, pine-like fragrance, for which there is no substitute. 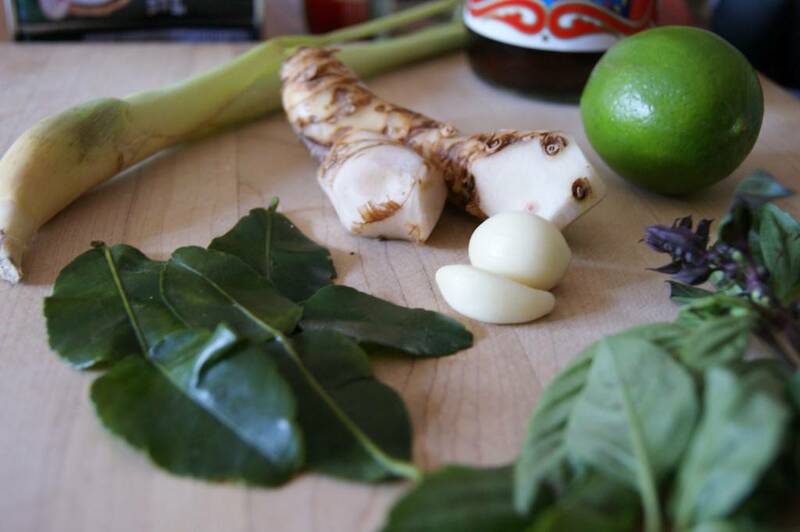 Galangal can be bought fresh in the spring and summer at the Root Cellar, among other places, or frozen year-round in Chinatown. 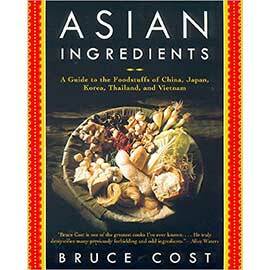 Please see my resource page for a full listing of places to find Thai ingredients. Never use dried galangal, and do not use ginger as a replacement. *** Keffir lime leaves – you can usually find these fresh at the supermarket, in the little plastic packages of fresh herbs. Usually labeled “Lime Leaves”. Also available frozen in Chinatown, or fresh at the Root Cellar. Please see my resource page for details. 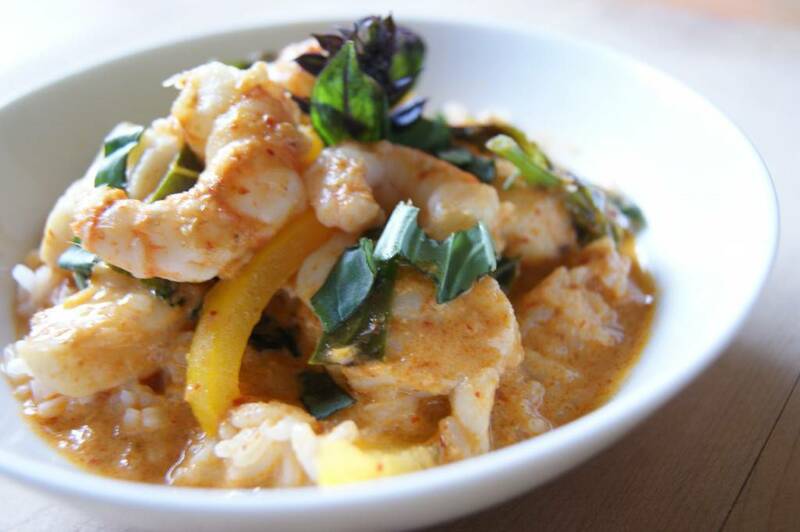 ****Thai Basil – stronger, more licorice-y and peppery. Available in Chinatown, the Root Cellar, or at Alpine Market downtown. Use regular sweet basil in a pinch. First of all, put some jasmine rice on to cook while you work on the rest of this. 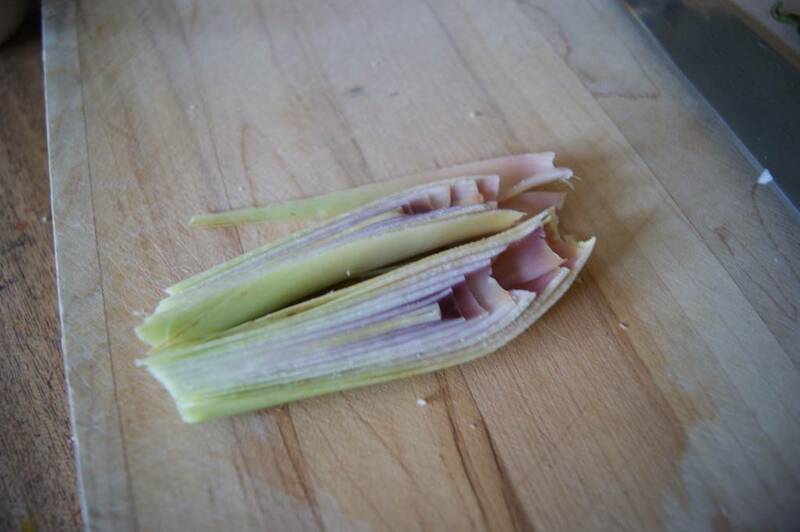 That little picture there is to show you how lemongrass should look just before you mince it – bublous part only, halved, and core removed. 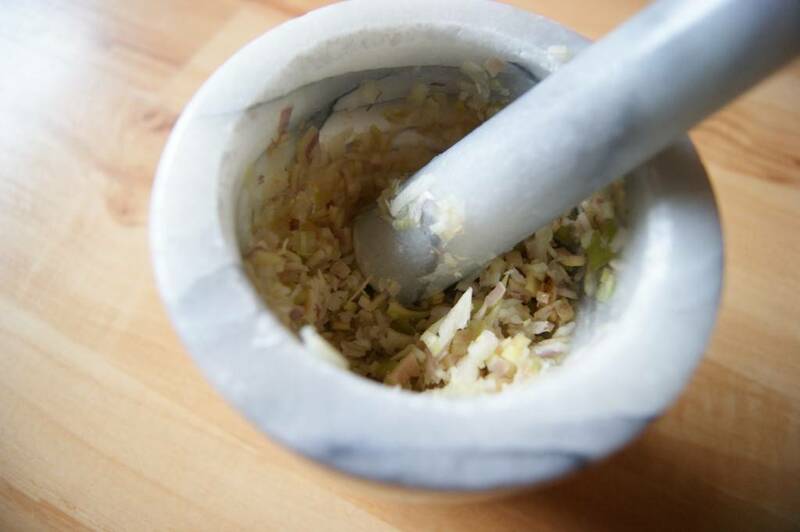 Using a mortar and pestle, roughly mash the minced lemongrass, the minced galangal, and the sliced garlic with a pinch of salt. Alternatively, mince everything together as finely as possible on your cutting board, mashing with the back of a spoon, if you like. 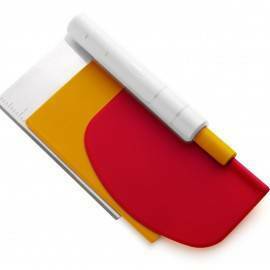 OR you can put everything in a zipper-lock freezer bag and bash it with a mallet. Open the can of coconut milk. It should have separated into a thick spoonable coconut “cream” at the top of the can and a thinner coconut water underneath. Scoop out all of the thick cream into a liquid measuring cup, leaving the thinner water behind in the can. You should have 200 to 250 ml (1 cup) of thick coconut cream. If not, open a second can of coconut milk and scoop the thick milk off it until you have enough thick coconut milk to proceed. Reserve the thin watery coconut milk for another use. Add the vegetables to the curry sauce and simmer gently, covered, for about 5 to 6 minutes. Add the fish sauce, the prepared seafood, the keffir lime leaves, and the palm sugar to the pot and bring to a gentle boil. Reduce heat and simmer very gently, covered, for about 3 to 4 minutes, stirring occasionally, until seafood is just cooked through. Don’t over cook it, or the prawns will get tough and the fish will fall apart. Taste to adjust seasonings. You may need more fish sauce (salt) or palm sugar (sweet). Sprinkle the Thai basil over the top and serve immediately, with steamed jasmine rice. These look amazing. And you just can’t beat local prawns!! That looks delicious; my mouth’s watering already. 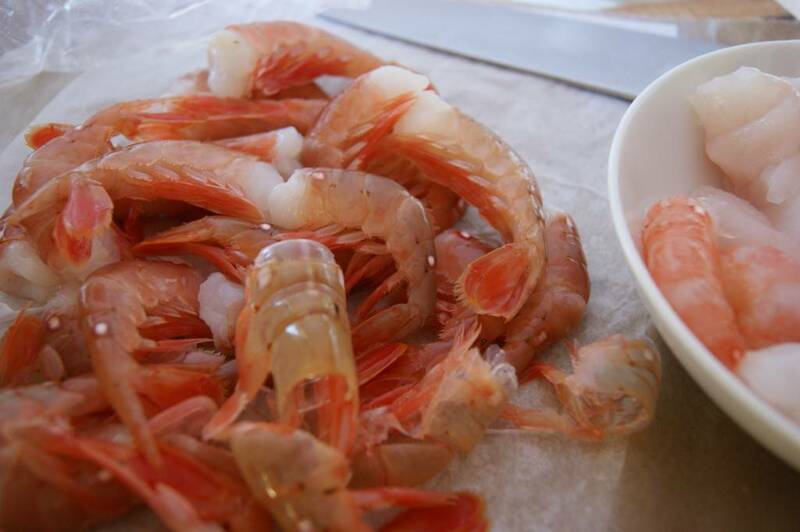 Where do you purchase spot prawns in Victoria? I keep hearing about them but have never bought any. Hi Shauna, I buy my spot prawns at Finest at Sea on Erie St, where they sell them live, or tails-only. But you can also buy them in season at Thrifty Foods. Pingback: Five spot prawn recipes and where to buy before it’s too late | Kitsilano.ca – Kits’ Neighbourhood blog. Susan, you just made my day! Your classes are fantastic, your recipes are delish! I must take some more of your classes soon, I’m missing the Heidi fix. I’ve misplaced your recipes from the classes I’ve taken somewhere in all the boxes in the house -> pre-reno mad stuffing everything in boxes now leaves me searching for everything. Hope to find them soon and cook some more of your great recipes. Aw, Ange, sniff… I miss you, too! Thanks for your great support and enthusiasm – come back soon! we made spot prawn soup at one of Heidi’s classes. We are now ruined for all other types of prawns and shrimp. spot prawns are the only way to go! Thanks, Kathleen! I love to turn people on to delicious ingredients! Hello Heidi! Firstly, let me say I love your offerings… so excited when I see you’ve posted something to facebook. Thank you so much!! 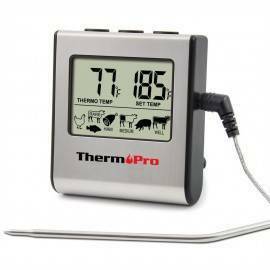 I have one of these heat sensitive palates that doesn’t take any heat at all. So is there curry that would work for me? I had a yellow curry with pasta and loved it but I don’t know what it was. Ideas? If you can suggest specific products and stores it would be of great help too? Thank you so much! ….and Happy Mother’s Day!